The Brunswick V-Force table rocks with state-of-the-art electronic scoring and exceptional speed of play. Aluminum rails with powder-coated metal corners accelerate the action. Super slick, scuff-proof "ice" helps keep the table looking sharp even after hours of intense competition. The Brunswick Wind Chill air hockey table has a sleek contemporary styling on a sturdy pedestal base features dual abacus scorers and constant flow UL blower. Two mallets and four pucks included with each table kit. Available in seven-foot size. The Dynamo Arctic Wind is a rugged constructed Valley air hockey table with a professional style that adds winning as an addition to any game room or family room. 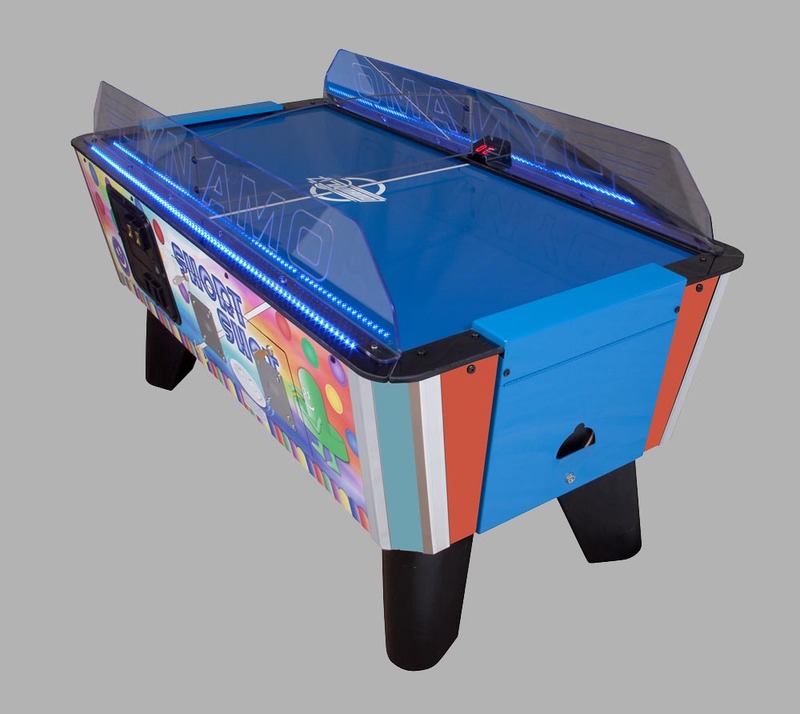 The Presidential seven foot table features two motors for a smooth, easy to use play surface that guarantees hours of fun for players of all ages. The Power Play table This table features American Legend’s patented Goal Flex™ technology, which allows players to adjust the width of their goal electronically, so players of different skill levels can play together on a competitive level. The Avenger 8' air hockey table from Atomic. This modern look table is 48” W x 96” D x 32”H when assembled with a 120V blower motor. 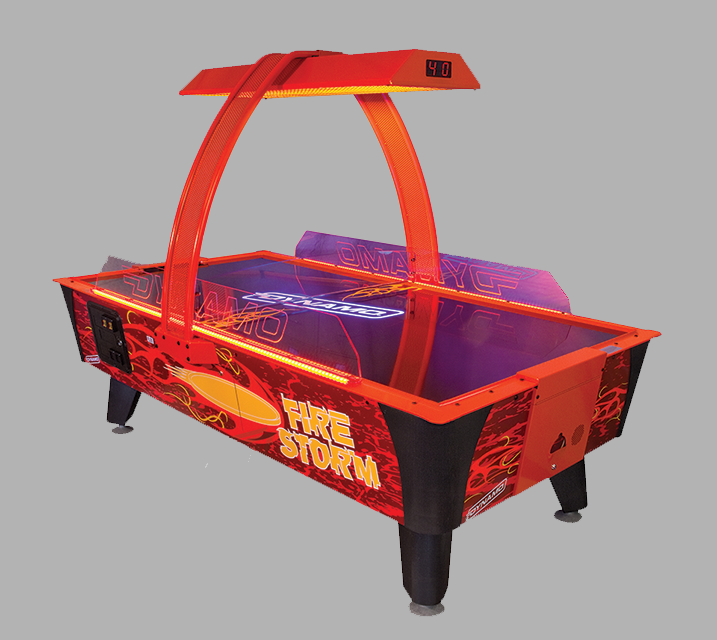 The Dynamo Hot Flash features the award-winning design and advanced technology that has made it the number one selling air hockey table in the world. UV coated playing surface and black light graphics for visual excitement along with easy-to-read overhead LED scoring display keeps pace with the action. The Orbit Eliminator from American Heritage is a 4 player survivor-style battle to the finish air hockey table. 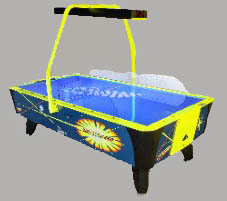 Goal blockers included allow for 2-player game play. With its unique round shape and concept, this is sure to be an exciting additon to every game room. The Dynamo Fire Storm brings home interactive lighting and sound, protective side shields and a bold new overhead design with LED scoring display. Turn out the lights and watch the blacklight details come alive. The Dyanmo Pro Style is designed by professionals and approved by the United States Air-Table Hockey Association. With its tournament tested toughness, it features a standard electroic ft scorekeeper with a side mount LED display. The Pro Style is available in both 7ft and 8ft. 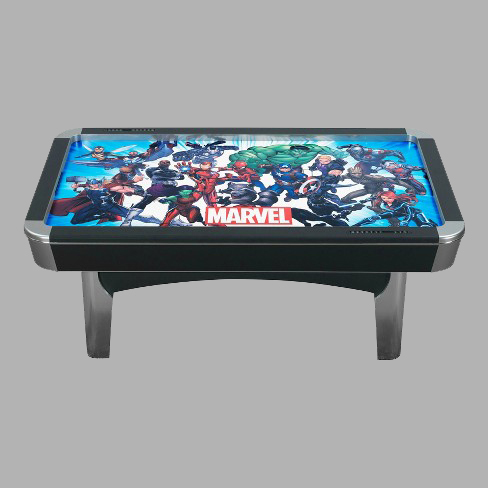 The American Heritage official Marvel Universe Air Hockey Table combines a stunning portrait of all your favorite Marvel characters along with the best made air-hockey table in the business! Get swept into the Marvel Universe offering fun for the whole family. The Dyanmo Short Shot is small, but no baby. It is just the right size for the smaller players but not too small for grown-up play. 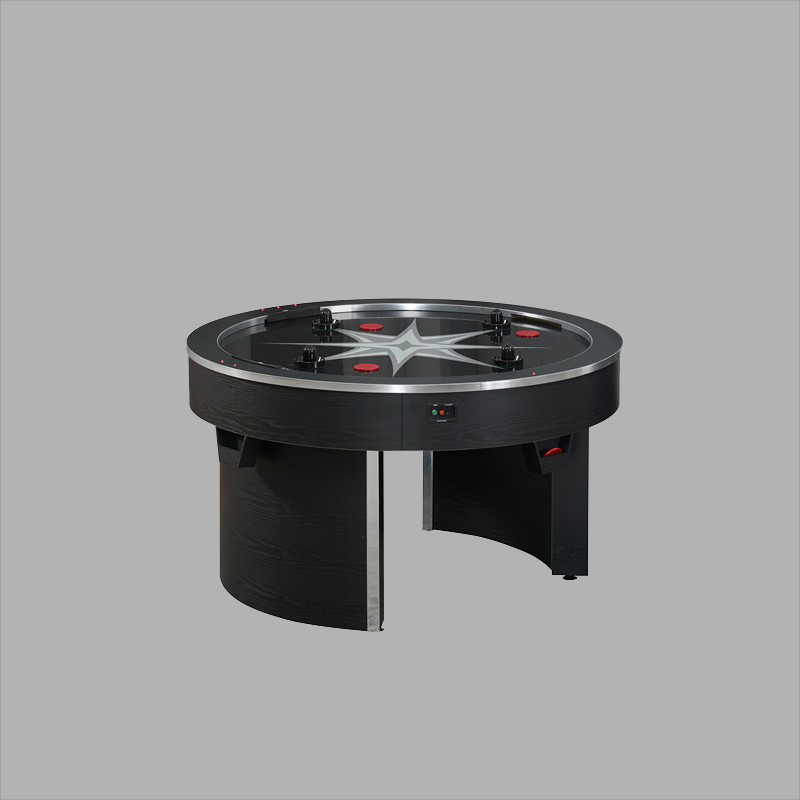 It features interactive sound and lighting, commercial grade cabinet construction, impact-resistant playing field, LED lighting and polycarbonate top rails for fast action and deflection. 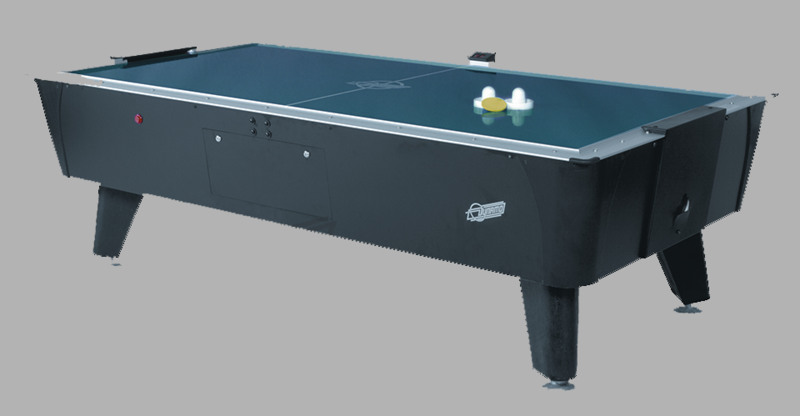 The Brunswick Premier air hockey features a convertible game table cover allowing for multi-functional use of the table. With its unique metal X frame base for increased stability, adjustable leg levelers, commercial grade blower motor and play surface with unique graphics, this table is perfect for any game space.